Kyle Brodziak is a Canadian professional ice hockey player who plays in the National Hockey League (NHL). As of 2018, Kyle Brodziak currently plays for the Edmonton Oilers as their Center. Kyle Brodziak has played for other teams like Minnesota Wild, St. Louis Blues. Brodziak reportedly earns around $1,150,000 as his yearly salary from Edmonton Oilers. Further, he has an estimated net worth of over $10 million. Kyle is married to his girlfriend Nicole Brodziak and has three children; Lenny, 6, Leo, 3 and Luca, 2. Kyle Brodziak was born in St. Paul, Alberta, Canada, on May 25, 1984. He is a Canadian and belongs to the White ethnic group according to his nationality and his star sign is Gemini. His mother's name is Marielle who currently lives in Vegreville where Kyle grew up. He also has a brother named Ryan. The detailed information regarding the educational qualifications, family, and parents of Kyle Brodziak is not disclosed on media. As of 2019, Kyle Brodziak has an estimated net worth of over $10 million which is the same as that of Jamie McLennan. He reportedly signed a two-year contract worth of $2,300,000 contract with Edmonton Oilers. Further, the NHL player has an average salary of $1,150,000 annually. Kyle Brodziak so far has made earnings of $18,108,415 from his entire NHL career. Kyle got married to his girlfriend Nicole Brodziak in a lavish ceremony in the beautiful and timeless city of Las Vegas, Nevada. The couple is blessed with three sons; Lenny age 6, Leo age 3, and younger son Luca age 2. The family also owns two dogs: Cocoa and Toby. Nicole's parents currently live in live in Sherwood Park. Brodziak, along with his wife Nicole, son Lenny and his brother Ryan, was also featured in the second episode of “Becoming Wild: Chapter Two” presented by Toyota. Kyle Brodziak is not only a famous NHL Center but also very famous in social media. The famous NHL star has a height of 6 feet 2 inches and a weight of 95 kg. Kyle Brodziak is not only an athlete of the world class but also a very attractive person. Kyle began his career with theMoose Jaw Warriors after being drafted in the 1999 WHL Bantam Draft. Later. he was drafted in the 2003 NHL Entry Draft by the Edmonton Oilers and signed with Edmonton a three-year, entry-level contract. He also played in the American Hockey League and also played for Minnesota Wild and St. Louis Blues. 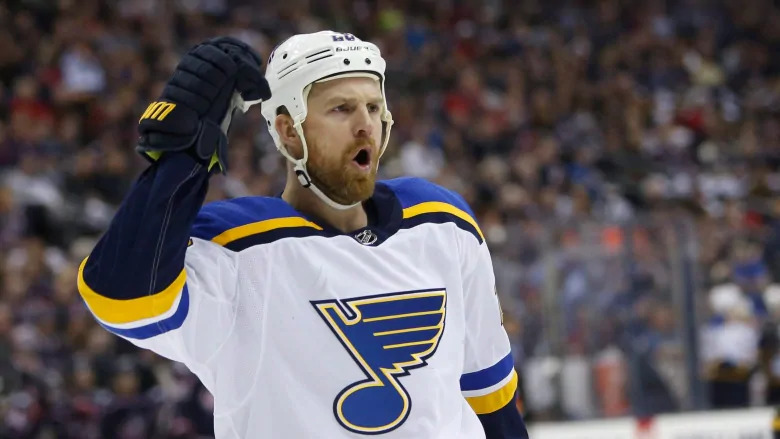 After the end of his contract with the Blues on July 1, 2018, Brodziak signed a two - year, $ 2.3 million contracts as a free agent in return for the Edmonton Oilers. During his time with the Oilers, he was coached under Ken Hitchcock. Edmonton's captain Conor McDavid is the youngest captain of the NHL history.